MBE CPAs is proud to take care of not only our clients but their dependents as well. 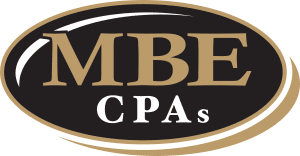 This is a complimentary service offered by MBE CPAs. To schedule a one-hour meeting for your dependent, please fill out the form below. If you need more information, email Melanie here. What is your dependent up to? Thank you for taking the time to fill out this form. We look forward to further assisting you by meeting with your dependents!